Buying bottled water is a tough habit to break for many people, but the associated cost and environmental degradation might make you rethink that $3 bottle in the vending machine. Discarded single-use plastic bottles contribute significantly to the amount of trash that crowds our landfills. And since plastic doesn’t decompose, but degrades into endlessly smaller pieces of plastic particles, bottles often end up in waterways and in the stomachs of wildlife. A common misconception is that bottled water is safer to drink than tap water, but public water systems have been strictly monitored and regulated by the Environmental Protection Agency since 1974. In Los Angeles, the Department of Water and Power tests the water supply every single day to ensure safety. 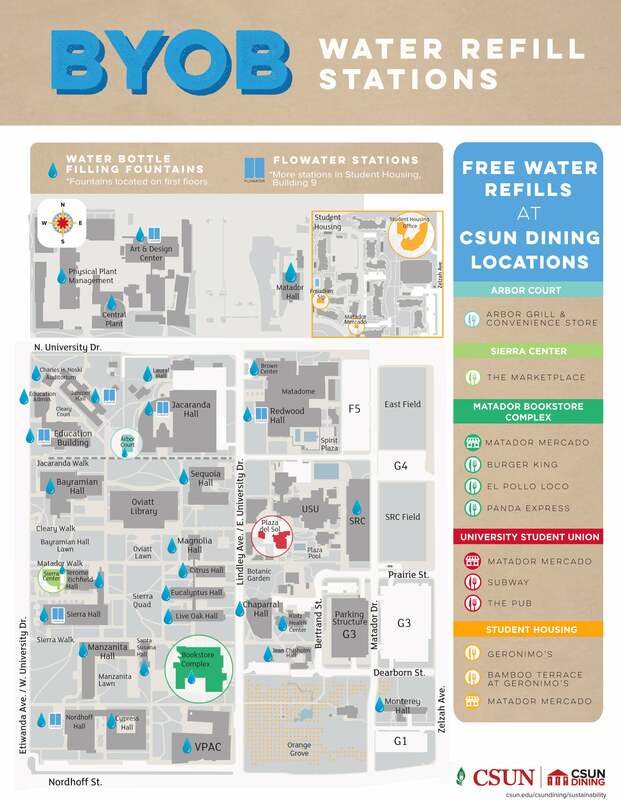 CSUN is serious about its effort to reduce single-use plastic bottles on campus, and has retrofitted water fountains in most buildings on campus with taller spouts to make filling reusable bottles easier. FloWater is another option for those willing to pay a nominal fee for filling their bottle with crisp, reverse-osmosis filtered water. 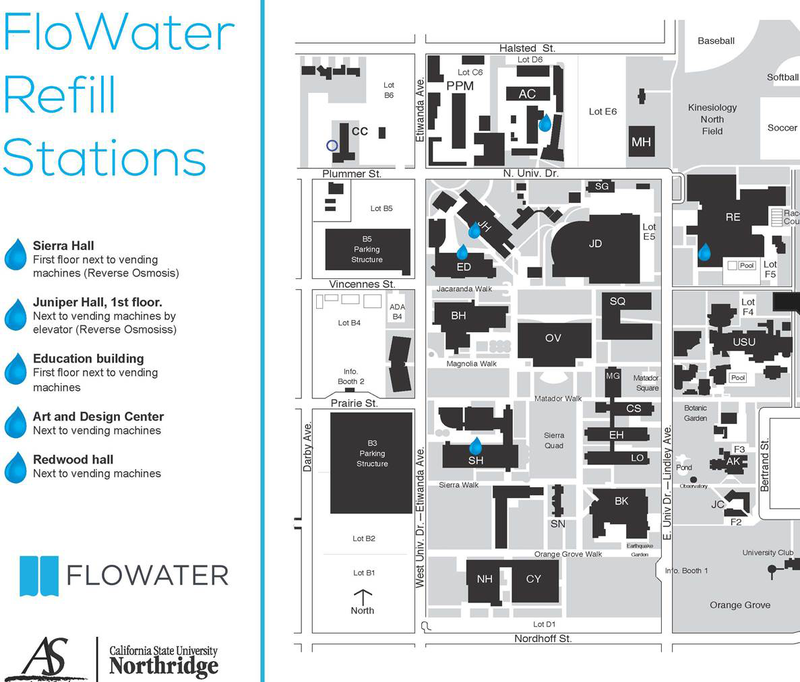 So far, there are five FloWater refill stations on campus. Water refill station locations are down below. Breaking the single-use plastic bottle habit isn’t so tough after all. All you need is a quality stainless steel or glass bottle to enjoy clean, cool filtered water on-the-go throughout the day. It’s a move that will save you money, and keep thousands of single-use plastic bottles out of landfills and waterways. It’s a win-win!